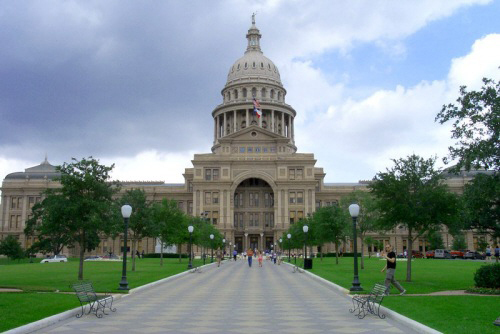 Sam Houston State University is now accepting applications for the first “Austin Internship Program,” which will kick off in the spring of 2013. The program provides top students from all majors the opportunity to intern for a legislative office during the 83rd Texas Legislative Session. Students selected for legislative internships will earn between six and 12 hours of credit and receive supervised hands-on learning. The internships will span the 83rd Texas Legislative Session, beginning on Jan. 4 and extending through May. Students will be expected to work full-time, giving them the opportunity to learn the legislative process, gain professional skills, and maximize their exposure to a professional work environment. Sam Houston State University will provide financial assistance to the students selected. The program is open to undergraduate and graduate students of all majors. To be considered, the student must have a grade point average of at least 2.5, although higher GPAs are preferred. Because the Texas Legislature meets only in the spring of odd years, this opportunity will not be offered again until the spring of 2015. “We certainly hope to continue placing interns in the Capitol and in district offices year round, but there’s nothing like the chance to intern when the legislature is actually in session, so we hope students will seek out this opportunity,” Yawn said. While placements will be made on a rolling basis, Yawn encourages students to act now. Interested students should contact Yawn at mike.yawn@shsu.edu or 936.294.1456 for an application or to discuss the program further.